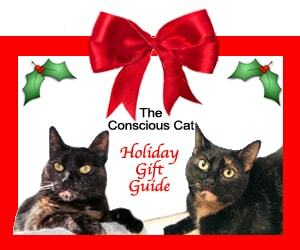 Welcome to The Conscious Cat 2012 Holiday Gift Guide – your one stop shopping solution for all the cats and cat lovers on your holiday gift list! Check out these wonderful products from some of our favorite companies. Many of these products have Allegra and Ruby’s paw stamp of approval. 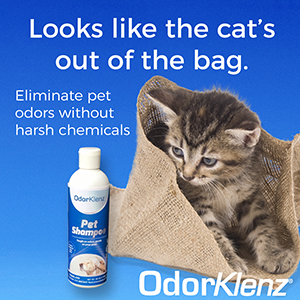 You’ll be sure to find something to delight every kitty and every cat lover in your life. And by buying these products, you’ll not only get some really wonderful gifts, you’ll also support small businesses, most of them run out of the owners’ homes. The Kittyblock is a fabulous cat scratcher designed by Paul Roberts. It is made from corrugated cardboard and a starch-based adhesive. Weighing in at 8 pounds, the blocks are nice and sturdy. The blocks offer endless options of creating a fun jungle gym for your cats: stack them, build a tunnel, or create a stairway. The Kittyblock is a big hit with Allegra and Ruby. For more information and to purchase, visit MyKittyblock.com. A litter box may not be the first thing you think about when you think holiday gifts, but in my opinion, the NVR Miss Litterbox is the most perfect litter box on the market, and the recipient will be forever grateful to you. 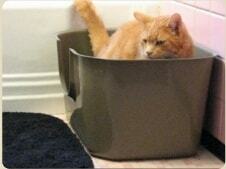 This box is everything a litter box should be. It’s roomy. It has a strategically positioned cat-friendly entrance that makes it easy even for senior cats to get in and out of the box. The clever design (a slight protrusion across from the entrance) provides a cue for cats to align themselves lengthwise, so you won’t have to worry about urine going outside the box at the low entrance. For more information and to purchase, visit NVRMiss.com. A kitty can never have too many scratchers, and the Catpod is so much more than just a scratcher. It is playhouse, catbed, and big cat toy, all in one. Catpods are sturdy, and heavy enough so they won’t move around when your cats go to town on them. They’re made from recycled packaging materials and with non-toxic adhesives. 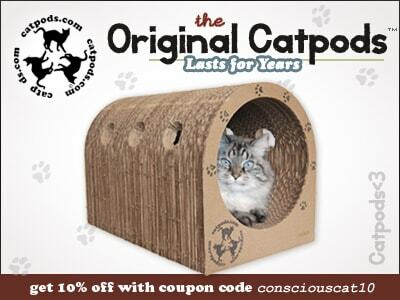 For more information and to purchase, visit Catpods.com. Catpods is offering free shipping and an exclusive 10% discount to Conscious Cat readers on all orders through the holidays. Use code CONSCIOUSCAT10 at checkout. LalaLand Ink is the creation of Lauren Ackley. Her work is inspired by animals – mostly …cats! Her mission is to offer lighthearted, high quality and unique merchandise to animal lovers of all kinds. Many of her designs feature a precious little cat named Catson. 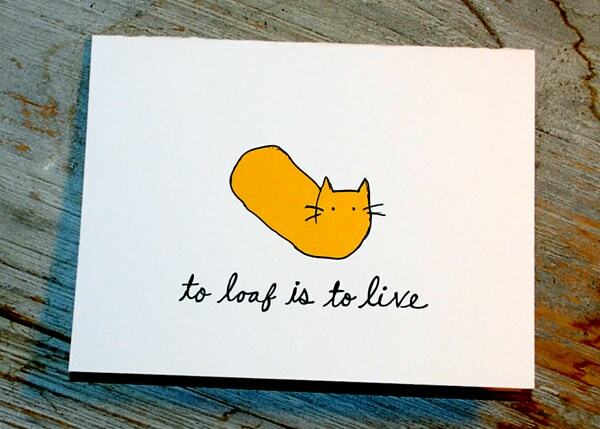 From t-shirts to greeting cards, LalaLand Ink has the prefect gift for the whimsical cat lover on your list. For more information and to purchase, visit LalaLandInk.com. RC Tees is the creation of Toni and Mark Nicholson. Together, they design amazing t-shirts and bags, and, since they’re both huge animal lovers, many of their designs feature cats. 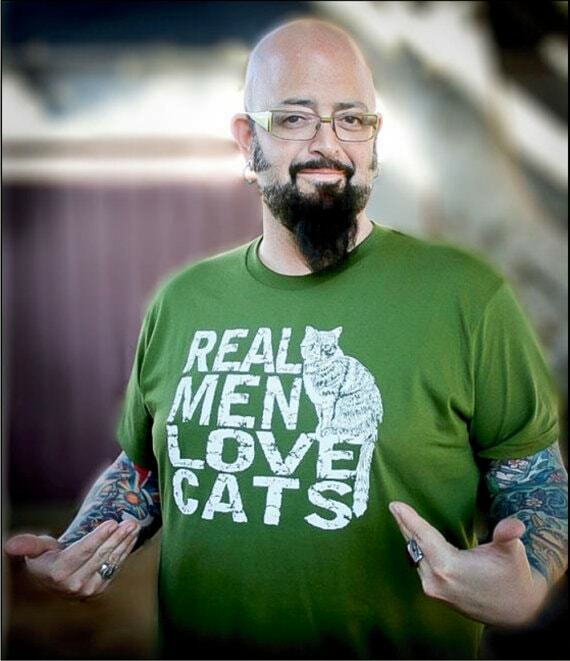 One of their most famous designs is the “Real Men Love Cats” shirt worn by Jackson Galaxy in the photo above. All shirts are made from high quality materials, and come in a variety of designs, colors and styles. For more information and to puchase, visit RC Tees on Etsy. RC Tees is offering a 15% Black Friday discount on all orders. Use code CATLOVER15 at checkout. Bernadette Kazmarski has been creating custom portraits of animals since 1993, and as someone who gave one of her portraits to a friend last Christmas, I can attest not only to the beauty of her paintings, but to how perfectly she captures the animal’s spirit. Bernadette works from photographs, and likes to get as much information about the animal she paints as she can. She believes that a portrait doesn’t just capture physical characteristics, but also captures the animal’s emotional and spiritual traits. 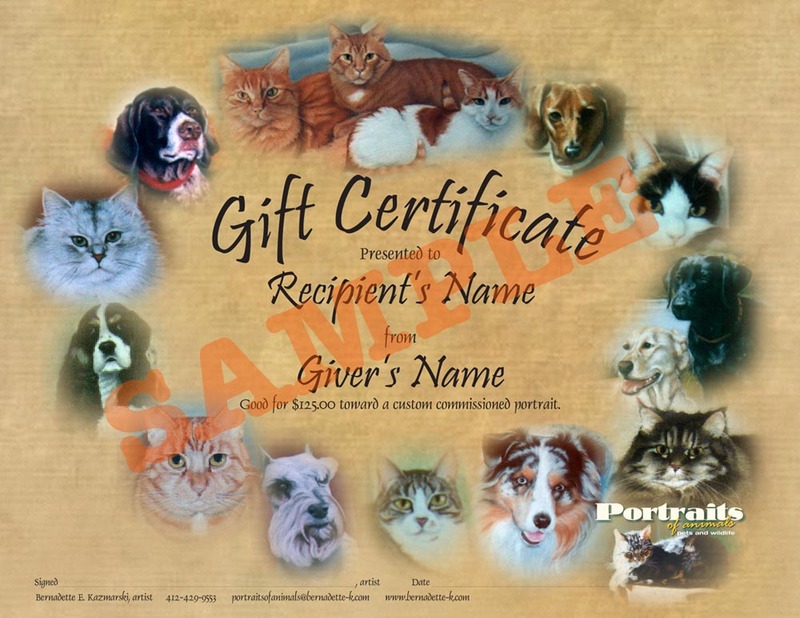 A gift certificate for a personalized portrait is the kind of holiday gift that the recipient will treasure for a lifetime. For more information and to purchase, visit The Creative Cat. 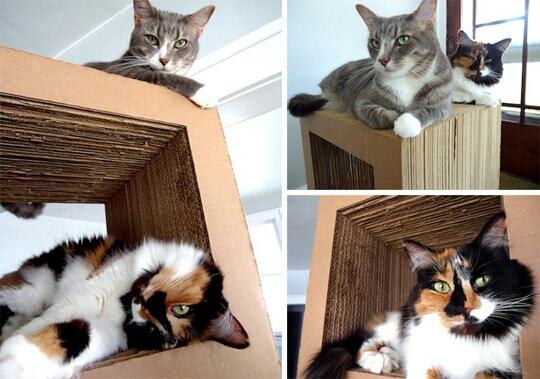 Moderncat toys are some of the coolest and most fun cat toys around, and they are approved by Allegra and Ruby! In Moderncat Studio’s new Holiday Shop, you’ll find toys and treats for every kitty on your gift list. And even better, Moderncat is offering an exclusive 5% discount to Conscious Cat readers on all orders through the holidays. Use code CONSCIOUSCAT05 at checkout. 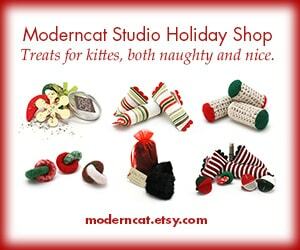 For more information and to purchase, visit the Moderncat Studio Holiday Shop. I hope you enjoyed this selection of holiday gifts for cat lovers. Happy Holidays! This is a sponsored post, which means that the businesses featured in this post paid me an advertising fee. However, just as is the case with all ads you see on this site, I only accept sponsored posts or advertising for a company or service that I have either used myself, or would recommend to my readers. I’m glad you like the ideas, Caren! Thanks for the great gift ideas, Ingrid! I’m glad you like them, Texas!